Promote your leadership related events and publications here. It does not matter where in the world they will take place or are distributed from. We have readers in that region and/or who may be traveling there. We encourage you to send time-sensitive information to the Integral Leadership Review far enough in advance to be useful to its readers and to you. We apologize for late notices appearing here. We do our best to get information out in a timely way. The next issue will be published in late December 2006 or early January 2007. Again, we encourage you to submit your time sensitive well in advance. (1) Conducting Your State Symphony, a presentation by Brett Thomas, Vidyuddeva and Huy Lam. Brett calls attention to states as an aspect of AQAL. This presentation emphasizes to state management, high performance, mindfulness, focus and body awareness. Steve offers a “poetic” reflection on states as the soundtrack, the music, of your life. Huy reminds us to tune into our bodies. Huy, Brett and Vidyuddeva teach a specific state management practice, “stopping, grounding and centering” using a physical illustration drawn from Huy’s kung fu practice. Vidyuddeva illustrates the crucial importance and meaning of states in our lives reinforcing the importance of being mindful of our states. Brett Thomas explains why skillful means is essential to Integral Leadership. He begins with a focus on skillful means as essential to Integral Leadership. The non-integral, flatland notion of worldview can be borrowed from APA and put to good use by integral leaders as skillful means to work with levels of consciousness and the corresponding value systems associated with each. 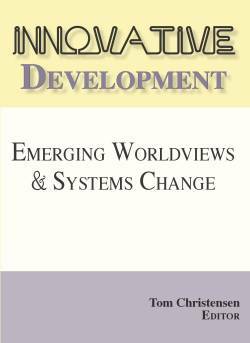 He points out that we have multiple worldviews, including a favorite and a least favorite, that reflect our levels of development. Worldview is “the overall perspective from which one sees and interprets the world.” This discussion compares and contrasts the integral and Spiral Dynamics approaches. Palmer House Hilton in Chicago, Illinois. Pre-conference sessions (Wednesday, Nov. 1, 2-6 pm) on Cultivating Excellence in Work and Life: Leveraging the Non-Verbal; Mentoring for Leadership Development: Strategies for Success; The Leader’s Guide to Storytelling, Mastering the Art and Discipline of Business Narrative; Creating and Sustaining Learning Communities; and a Tour of Chicago: Chicago Leaders in Commerce, Art and Architecture. In today’s business world, life coaches are becoming more and more in demand. Unlocking a business person’s creative potential can oftentimes be the key to success. To show business leaders how to connect their creative skills with leadership abilities, Regis University is hosting The Fire Within: Leadership and Creativity 2006. The conference takes place November 4, 2006 at Regis University’s Lowell Campus in Denver, Colorado from 8:30 a.m. to 9:00 p.m. The conference is geared towards leaders who value creativity and know that people operate on a higher level – of productivity and morality – when they are given the freedom to use their unique talents and visions, rather than being made to conform to some predetermined set of expectations. With a wide range of speakers including Kevin Asbjornson, well-known executive educator and Mark Shimada, senior instructional designer for the Boeing Company, attendees are assured a unique training experience. Sally Spencer-Thomas, Director of the Leadership Development and Behavioral Health program at Regis University, designed the conference. “Character and emotional states have an enormous impact on one’s ability to succeed. we’re trying to help high performance leaders sustain their impact over the long haul,” says Sally Spencer-Thomas. To register, visit www.LeadershipandCreativity.com or call Sally Spencer-Thomas at 303-458-4323. This is an evening’s exploration, conversation and celebration with Margaret Wheatley (Meg) and many women from the San Francisco community. Meg will seed the conversation by describing the impact that women are having in communities around the world, and then lead us in an inquiry about our own leadership. As well as being inspired by Meg’s wonderful stories and experiences, we know that you will encourage, provoke and inspire one another. Also, there will be opportunities to continue the conversation with local women after this event. Music and poetry will be part of this festive gathering and refreshments will be served. Co-Sponsors: Bay Area OD Network, John F. Kennedy University, National Center for Lesbian Rights, Saybrook Graduate School, ASTD – Golden Gate, Dominican University of California’s Institute for Leadership Studies, Spirit Employed, SoL West, Esprit Global Learning, and South Bay OD Network. A conference jointly organized by the American (ASPA) and the European (EGPA) network on public administration and public personnel policies is scheduled to be held May 31st through June 2nd 2007. The conference aims to strengthen cooperation among European and American scholars. The conference is hosted by the School of Urban Affairs & Public Policy at the University of Delaware (UD) in Newark, Delaware. A full call for papers, a provisional conference program and all practical information are available at the conference website: http://www.ipa.udel.edu/3tad. Paper abstracts should be submitted before December 15, 2006. Since 2000 the Center for Women’s InterCultural Leadership (CWIL) has been fostering the intercultural competence critical for the next generation of women leaders across the Saint Mary’s campus, connecting with communities at the local, state, national, and global levels. To promote transformational intercultural engagement, CWIL builds collaborative relationships and encourages partnering across departments, disciplines, and other traditional dividing lines. The Center bridges global and domestic diversity issues, mindful of the distinctions between these but also of their commonalities. It highlights the roles of women and studies the interconnections between gender and culture. CWIL’s central goal is to develop women as leaders. 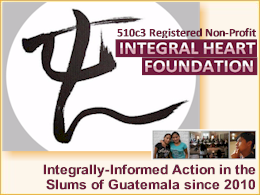 Rooted in a developmental approach, the Center challenges and supports individuals and groups to take the next steps toward deeper intercultural experience, more sophisticated grappling with issues of difference such as power and privilege, and greater awareness of their own potential as change agents. CWIL welcomes proposals for panels, individual papers, interactive workshops, roundtables, and posters that explore the three conference themes and the intersections between them. Panel – presentations and/or discussions by three people with contrasting or complementary points of view. Interactive Workshop – a demonstration rooted in audience participation and active learning. Roundtable – 10-15 minute presentation followed by a facilitated discussion with session attendees. Poster – a visual display of a program, paper, or project that is set up in an exhibit space and staffed by the creator(s) during a designated time. Each session will be 75 minutes in length and proposals for 20-minute individual papers will be grouped with two other papers to form complete panels. All session proposals must follow the CWIL Conference Proposal Form. Proposals must include a brief abstract (not to exceed 50 words), which will be used for the conference program, as well as a longer description (not to exceed 500 words) that indicates your intended audience, how your session is relevant to one or more of the conference themes, if your session crosses interdisciplinary boundaries, and the expected outcomes for the audience. Proposals will be selected based on the relevance to the conference theme/s, for content that crosses disciplinary boundaries, and to ensure a balance of appropriate sessions for multiple audiences. Presenters will be notified by January 2007. All proposals are due by November 15, 2006 via email (as an MS Word attachment) to cwil@saintmarys.edu. Visit CWIL’s conference website http://www.saintmarys.edu/~cwil/Conference/CFP.php to download the Conference Proposal Form. Additional conference information will be posted on CWIL’s Web site as it becomes available. Dr. Susanne Cook-Greuter and Beena Sharma are pleased to invite you to an intimate, intensive exploration of MAP, a framework that illuminates a sound understanding of human development with demonstrated application in organizational contexts. The Maturity Assessment for Professionals (MAP) combines the Washington University Sentence Completion Test with Susanne’s extensive and rigorous research in adult development. It is Harvard-tested, and the most reliable and cost-effective stage measure currently in the field. It measures nine levels of adult learning and emergence. Please email bsharma@integralinstitute.org for registration form, accommodation info, cancellation policy and payment details. Contact Beena Sharma for more information: Mobile: 941-726-7620; Fax 1-877-570-5796. Leadership Agility is the master competency needed for sustained success in today’s complex, fast-paced business environment. Richly illustrated with stories based on original research and decades of work with clients, this groundbreaking book identifies five levels that leaders move through in developing their agility. Significantly, only 10% have mastered the level of agility needed for consistent effectiveness in our turbulent era of global competition. 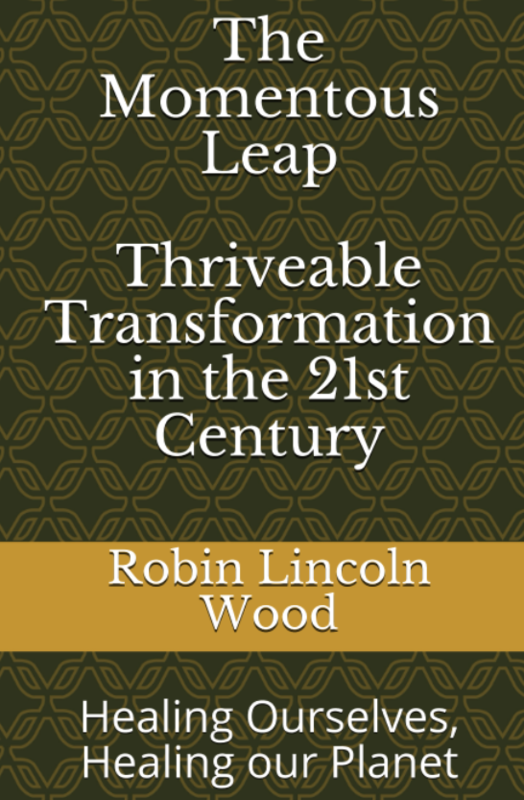 Written in an engaging, down-to-earth style, this book provides practical advice about how managers and leadership development professionals can bring greater agility to the initiatives they take. When I interviewed Bill Joiner and Stephen Josephs in the June 2006 issue of the Integral Leadership Review, I observed that their new book, Leadership Agility, is the world’s first integrally informed leadership book published by a major publisher. 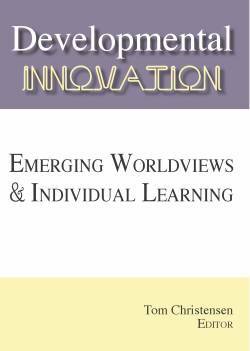 We hope to provide additional information about this new book by two of the leading thinkers and consultants on leadership, Jim Kouzes and Barry Posner, in the next issue of Integral Leadership Review. In the meanwhile, A Leader’s Legacy, was recently released by Jossey-Bass. Thanks, Russ. You are providing a great service. Seriously, this is an excellent online mag that you should know about. Mark, Russ, and Cindy all are teachers of mine (only they don’t know it!). Just finished reading your interview with Mark, as well as a few other things, like the nice review of Nathan’s book. Reading your dialogue with Mark, I felt the desire to get going on my own next writing project…It was a stimulating read – well done. I want to tell you how much I appreciate the articles on Leadership that you make available with so much generosity. 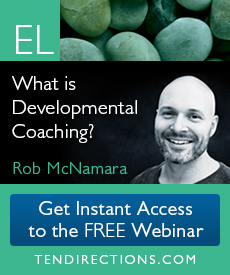 The articles are always at the cutting-edge of thought and practice in Leadership. I’ve gained enormously. Thanks ever so much. I appreciated reviewing your most recent issue. We are always looking to alert our members to resources that may be of interest to them, and your site definitely qualifies. We publish a newsletter for our members quarterly and make an announcement about the journal, including the opportunity for publishing.